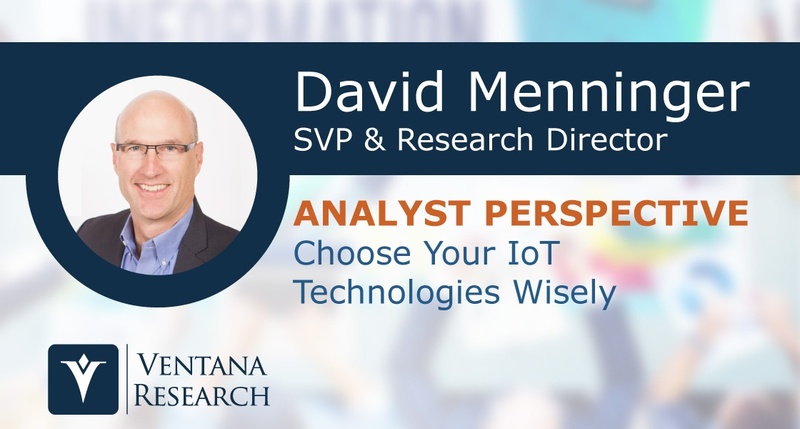 This is my second analyst perspective based on our IoT Benchmark Research. In the first, I discussed the business focus of IoT applications and some of the challenges organizations are facing. Now I’ll share some of the findings about technologies used in IoT applications and the impact those technologies appear to have on the success of users’ projects.